I attended the fourth of the five readings in the 2016-2017 series last night. 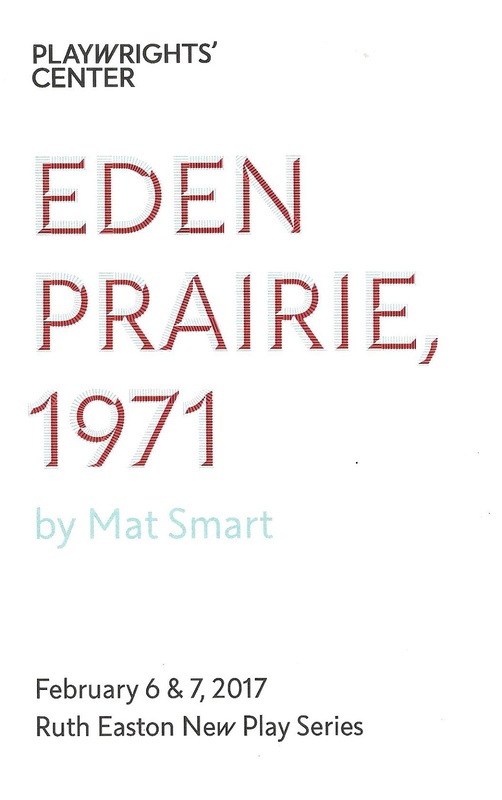 I'm loving this monthly series; every play has been so interesting and wonderful in its own unique way (see also December's Wink by Jen Silverman, January's queens by Martyna Majok, and February's Eden Prairie 1971 by Mat Smart). This month's new play receiving a workshop and two-night-only reading was the post-break-up romantic comedy dramedy The Sea & The Stars by PWC core writer and board member Harrison David Rivers. The description of The Sea & The Stars is: "Simon is a lifeguard. Finn is terrified of water. Both are adrift, with broken hearts, returning to the tiny beach town of Jupiter and to families who need them. A play about love, karaoke, and the sea." The play begins in Jupiter, not the planet as I first thought, but the beach town in Florida. We meet a couple of men who have recently suffered break-ups (and have a meet-cute neither one remembers in the middle of the ocean), and their friends and family (living and dead). It's a poignant and very relatable comedy about relationships, family, coming to terms with the past, and moving on. And there's a talking parrot who's actually two of the characters' mother, and '90s ballad karaoke, so that's fun! Director David Mendizabal led the uber-talented and mostly local cast in bringing this story to life (Austene Van, Eric Sharp, Jane Froiland, Jon-Michael Reese, Megan Burns, Sasha Andreev, and Terry Bellamy), and Adam Wernick provided the sound design. Even though this was "just a reading," sometimes adding elements of design can help the playwright see where it's going to go in a full production. In this case, sound is important in the voice mails and karaoke singing. Harrison David Rivers was also part of the History Theatre's new works series "Raw Stages" earlier this year. He partnered with a Somali immigrant to write his story in A Crack in the Sky, which coincidentally (or not?) also includes talking animals. I'm excited to see more from this playwright, and hopefully full productions of both of these plays.